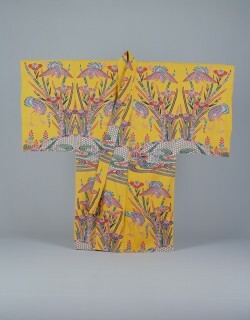 This is a BINGATA-dyed winter costume for women. 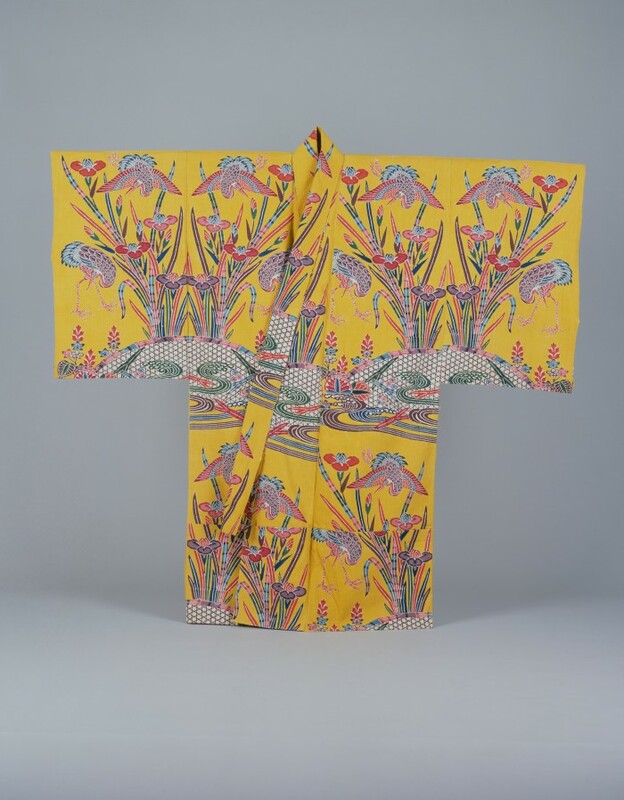 The design depicts flowing water, sweet flags, cranes and others on a brilliant cloth which was dyed with orpiment. 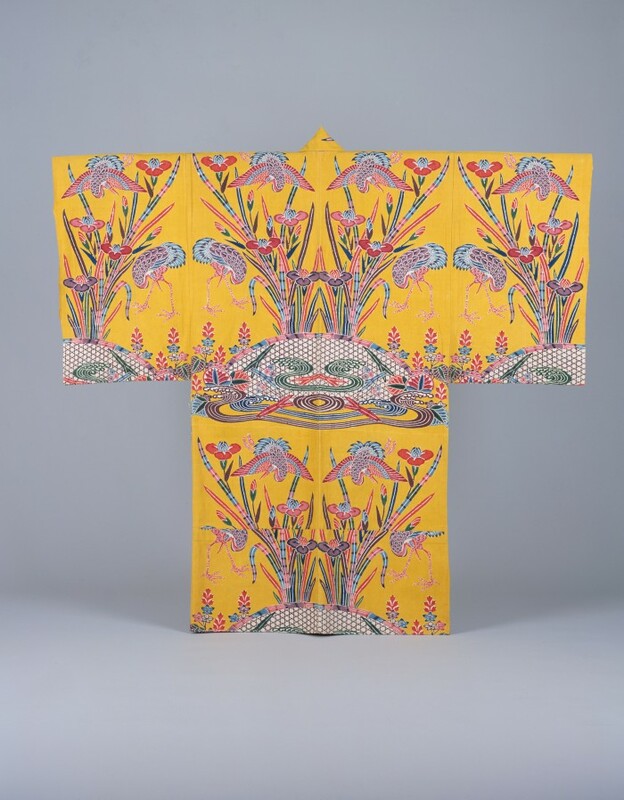 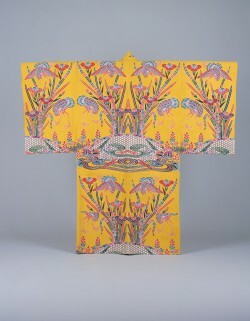 Most of the ancestral BINGATA-dyed costumes of the Sho royal family had yellow background, and orpiment was used for most of them.